Have you had situations with PPC or SEO accounts where you’ve got a great new tool or feature to present to the client, but just can’t find a concrete or data-driven way to present the benefits? It can be difficult to accomplish easily. Sure you can Photoshop up your own diagram or chart, but where’s the data that proves it will work? If you have the data, it may be time-prohibitive to turn it into a great visual. That’s why I love Google’s Think Insights website. I’m a case-study fanatic and I love to see how other agencies and clients use the tools we are all so familiar with to create new campaigns and push the boundaries of digital marketing. It inspires me to push for progress. I also know that many of my clients don’t have the time to follow digital marketing trends in the way that I do. Think Insights provides so many cool tools and reports to share with your clients. I’ve found numerous reports and data that I can point a client to and say “This is what we’re trying to do!”. Here you’ll find a wealth of great case studies that used key Google products like YouTube or Analytics to craft successful campaigns or better measure a client’s data.These are wonderfully internally to keep up with new trends, and great uses of the technologies that can be shared with clients when you need to say “Here’s proof that this method works”. 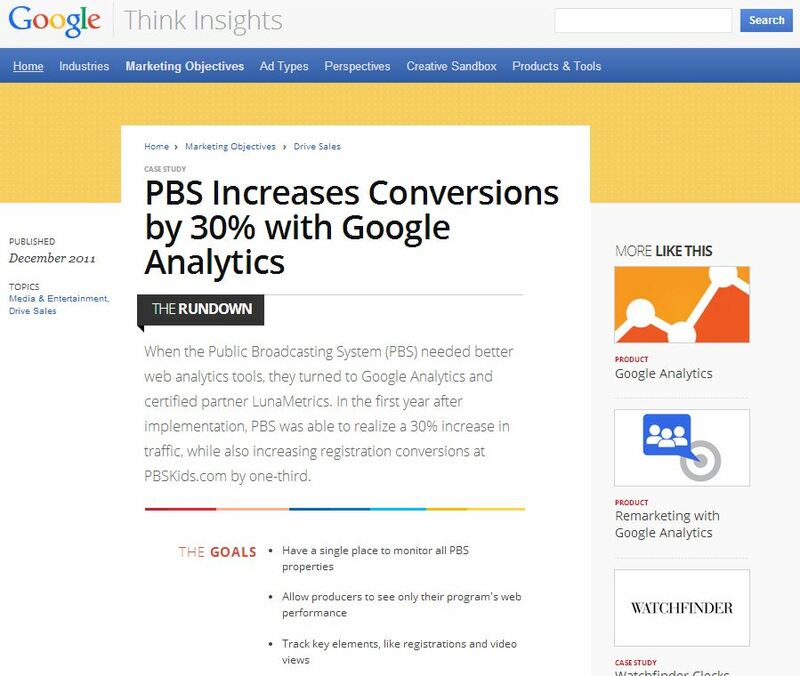 Humblebrag: The screencap above shows off LunaMetrics’ Case Study for Analytics work that we performed for PBS. Click to read this Analytics Case Study. Prepare to have your mind blow. When you need BIG ideas, check out the Creative Sandbox to see what today’s leading creative minds are doing for brands in the digital space. This one above for Menicon, a Japanese Contact Lens company, is particularly impressive. This campaign created a visual web journey that’s high on whimsy. Click the image to watch. An incredibly handy tool that shows typical paths to purchase by industry. This tool is a great way to visualize a campaign and share with a client via screencap. 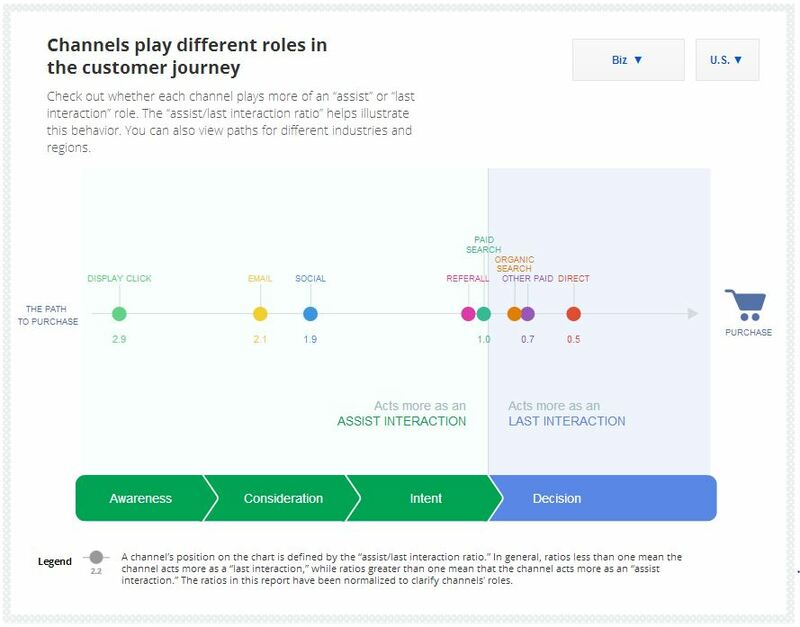 I’ve set this example to the Business sector and we can see that Display Advertising has a very long lead as the first interaction of the sales cycle (For comparison, the Auto Industry fares better with Social leading the interactions), while Direct visits are more correlated with a final conversion. We recently used this data internally to help a hesitant B2B SaaS client expand their Paid Search efforts to include Display. Click the image to try it out, it’s pretty cool! Think Insights is where Google’s incredible free ebook now lives. This is truly essential reading for anyone in online sales. Using data-driven studies, Google Engineers present a strong case that traditional “buying moments” have been significantly changed by online search, and that businesses must now win minds at the initial research phase of the cycle, and not when a user is ready to buy. 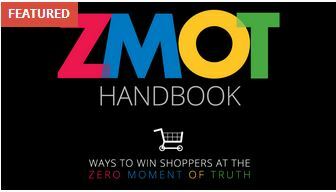 It really is essential reading for anyone in online sales or at an agency. I’ve saved the most useful tool for last. Think Insight’s Databoard allows you to use Google Studies to build custom Infographics on a wide variety of topics. A few of my favorite topics for SEO & PPC clients include The New Multi-Screen World, which focuses on how consumers interact with brands across all of the screens in their life, and Mobile In-Store Research, which presents some pretty great findings on how consumers use their mobile devices inside business to enhance their shopping. I used this tool to craft the infographic below on HTML5 Adoption. If you find it useful, please click it to share via email or social. Where do you find great ideas to pass on to clients? Let me know in the comments!